Use this form to certify absence from work or school due to illness. The From date will default to today. 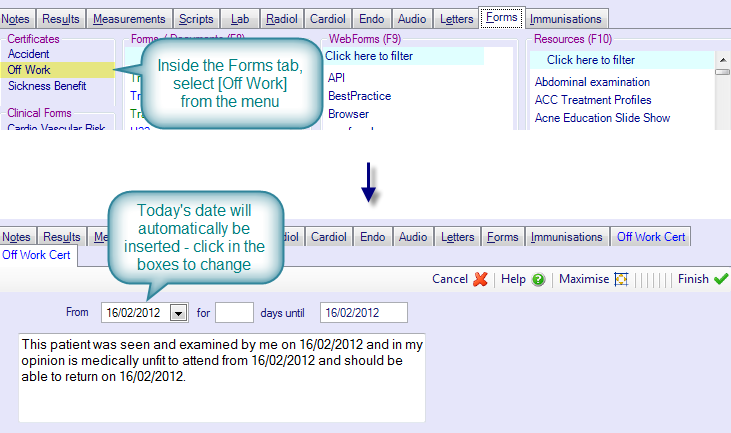 Fill in the number of days off sick (and the program will automatically calculate the To date) orÃ enter the To date (the date on which the patient will be fit to return to work). The program will fill these dates into the text. Edit the text as required.